Ever booked a cross-borders flight for work or pleasure only to realize that you needed a passport and quicker than the estimated “4-6 weeks” or “expedited 3 weeks” that it takes for processing? Or have you ever realized just before leaving on that tropical vacay that you booked 10 months ago that your passport has expired? These are the situations that give us gray hair! And unnecessarily so! passport Dilemmas: No need to panic! Many people will quickly find the online websites promising quicker turn-around for a hefty fee….maybe it works, maybe it doesn’t. But there’s a better, more trust worthy, face-to-face kind of way! The National Passport Center is open from 9am-4pm, Monday-Friday and by appointment only. The National Passport Center is located at 207 International Drive, Portsmouth, NH 03801. What? You can’t make it to New Hampshire at the drop of a hat? Luckily, there are Regional Passport Agencies. You may have to make day trip to the nearest one in your region but at least that doesn’t involve a cross-country drive to New Hampshire, right? If you have experienced an unexpected death in the family or if driving is just not an option, there’s still hope! Call the National Passport Center and tell them your situation in your kindest, most patient voice. They may still be able to get you what you need without being in person. Appointments can be made at all centers via a 24hr line at 1-877-487-2778. Given your time frame of travel, the agency will book your appointment with adequate turn-around time. The website indicates 8 days for this super expedited, in-person service; however, with proof of immediate travel, agents can generally work their magic to provide you with the travel documents you need almost immediately. Those questionable passport expediting services are likely using the Regional Passport Agencies and charging a premium for their middle-man fees, upwards of several hundred dollars! Not.Necessary. The National passport Center and Regional Passport Agencies charge a $60 expediting fee in addition to the normal passport fees. You can calculate your passport fees based on your situation using this passport fee calculator. After all the fretting, driving and time spent getting to your passport center/agency, do yourself a favor and bring ALL necessary forms, payment and proof of identification required as indicated on this website. So what happens if your passport is lost or stolen while abroad? BEFORE you travel, locate the contact information for the U.S. Embassy in your travel destinations and store the information in a safe place. If you need to obtain a U.S. Passport while abroad, you will have to go to the nearest U.S. Embassy before being allowed to travel and certainly before returning back to the United States. Having a copy of your former passport will help expedite the process. I like to leave a copy in my luggage at all times. You will also need to have another form of identification on you so do NOT leave that state issued government I.D. at home. Alternatively, if a friend or relative has asked you for help regarding their lost/stolen U.S. passport, you can contact the Office of Overseas Citizens Services, U.S. Department of State in Washington, D.C, at 1-888-407-4747. They will help you find the closest U.S. embassy or consulate where your fretting friend or family member will be required to go apply for a new passport in person. The service often takes 24 hours. If none of these situations apply to you and you’re ahead of the game and have ample planning time, the forms and necessary payment can easily be done via snail mail (I never said the passport agency was operating in the 20th century) and can be found on this website. If only I had known this trick when moving to Belgium. 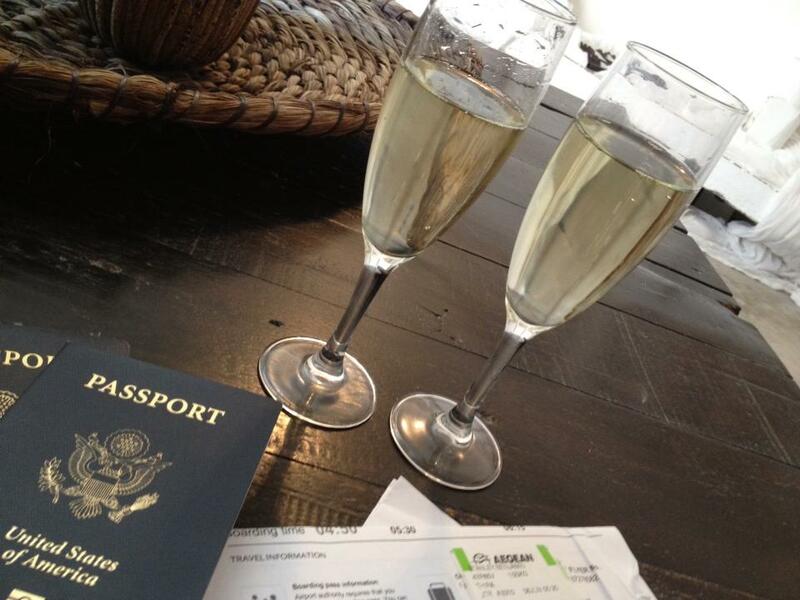 My passport and work visa arrived 1 hour before heading to the airport to catch my trans-Atlantic flight…. Years were taken off my life that day. Lesson.Learned! This entry was posted in Passport Dilemmas, Travel, Uncategorized and tagged agency, center, expedite, national, national passport center, passport, passport fees, regional, regional passport agencies. Bookmark the permalink.